A toast to to Ireland. 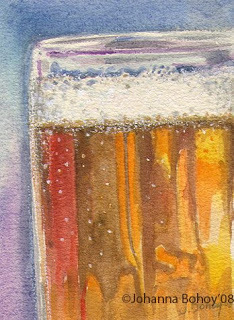 or a chug of brew in a frosty mug. 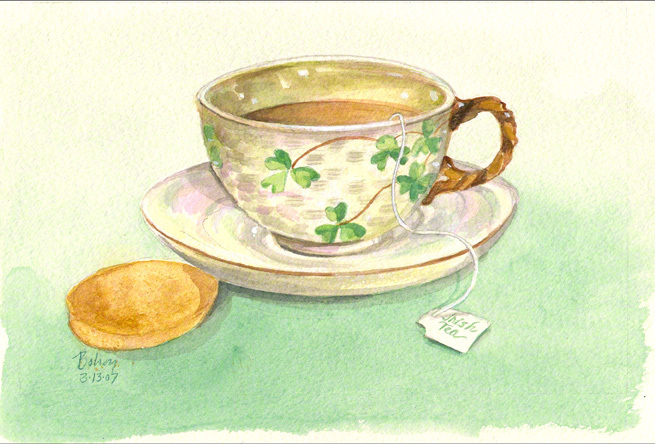 "Spot O Tea" , 5x7, watercolor, $125.